Happy New Year everyone! New year’s resolution: must remember to make one. Actually, think I will just soldier on with last year’s. But I love new year, new starts, new plans and projects….. So here’s my new blog theme for New Year: money. Yes, good old chink-chink. The Bible says the love of money is the root of all evil, though personally I think it is pride. Still, maybe the love of money and pride are linked in some way. Money can certainly bring power, and a sense or security, often false. Both can make you feel you don’t really need God. A few years ago, I had an exhibition in a gallery in London’s West End, and did seven quilts on the theme of money for it. I seem to work in series of sevens. 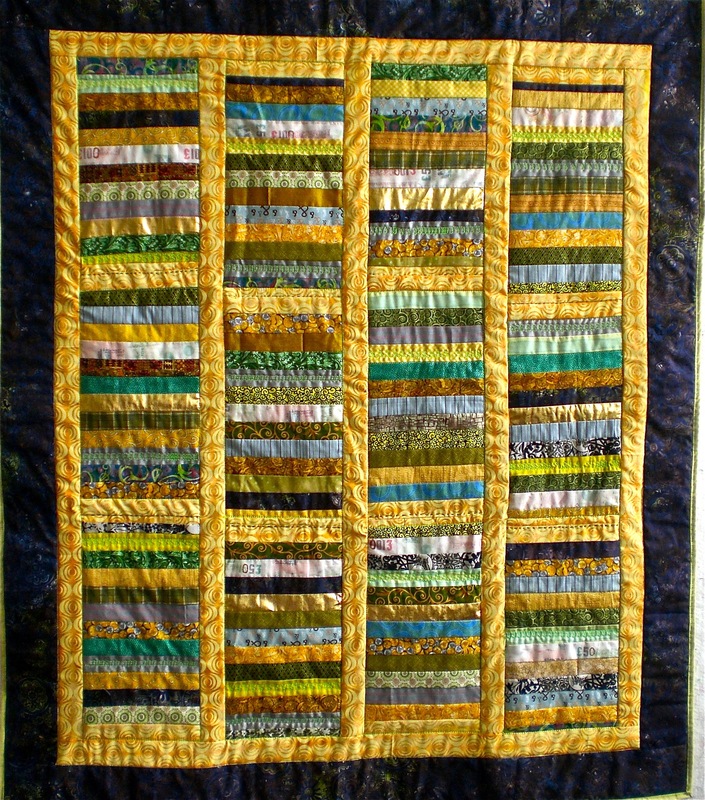 The names of these quilt wall hangings were: “Bankers’ Bonuses”, “Treasure Trove”, “The Money Laundry”, “Diamonds are Forever, “Liquid Assets”, “The Golden Goose”, and “Rags to Riches”. After I had done them all and was stewarding my show, sitting there for hours looking at them all together, it dawned on me that they represented the different aspects of getting, making and handling money. The greed behind the group culture of bonuses. Relying on luck. Shady dealing, crime. Marrying a rich person, or inheriting wealth. Having lots of available cash, flashing the readies. Finding a great business idea or asset that makes you loads of money. And making your money from scratch by sheer hard work. There is nothing actually wrong with money itself, it is useful. It’s only one’s attitude and use of it that can be a problem. If you zoom in, you can see individual fabric strips of printed money, coins, notes, gold bars, etc., together with strips of pin-stripe, suggesting the shirts bankers wear. This quilt was bought to go on the wall of an autistic boy, I think because he would like the bright colours and cheerful design. A more cheerful, innocent image of money.